This is a timeless, elegant, custom-made Jane Hill gown in a mushroom coloured french-silk. The gown has a tule underlay with a stunning french lace bodice covered in Swarovski crystals. 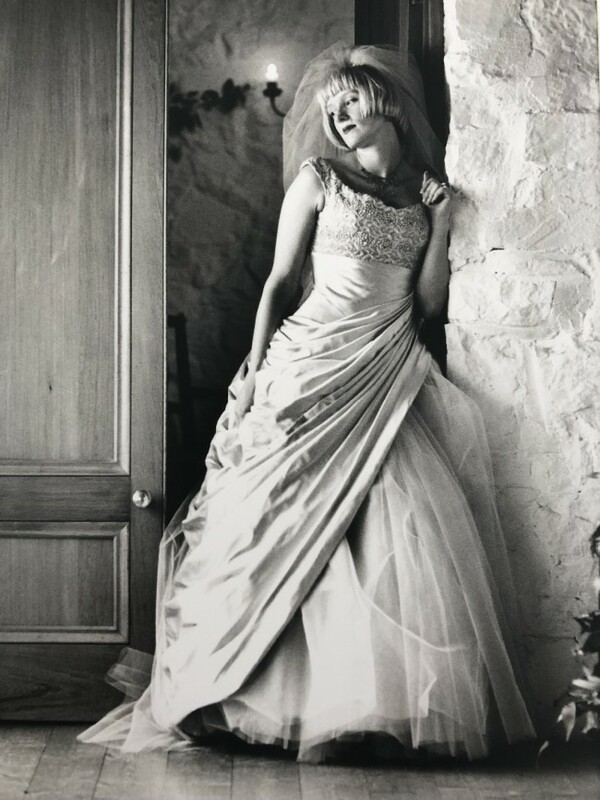 This dress is professionally preserved, featured in Melbourne Bride Wedding Annual magazine and photographed by award-winning photographer David Fowler.